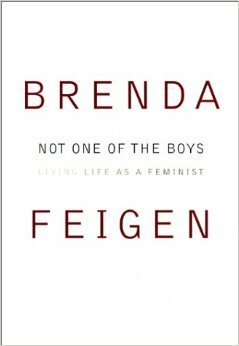 Ms. Feigen's memoir, Not One of the Boys: Living Life as a Feminist, was published by Alfred A. Knopf in 2000. In it, she chronicles instances of discrimination in her own life and gives the reader the sense that she understands not just the nuances of the legal issues but also what it feels like to be the victim of such injustice. For Brenda Feigen discrimination is not just a fight to be waged but also a problem that raises emotional and psychological issues all of which must be addressed before a solution is found.